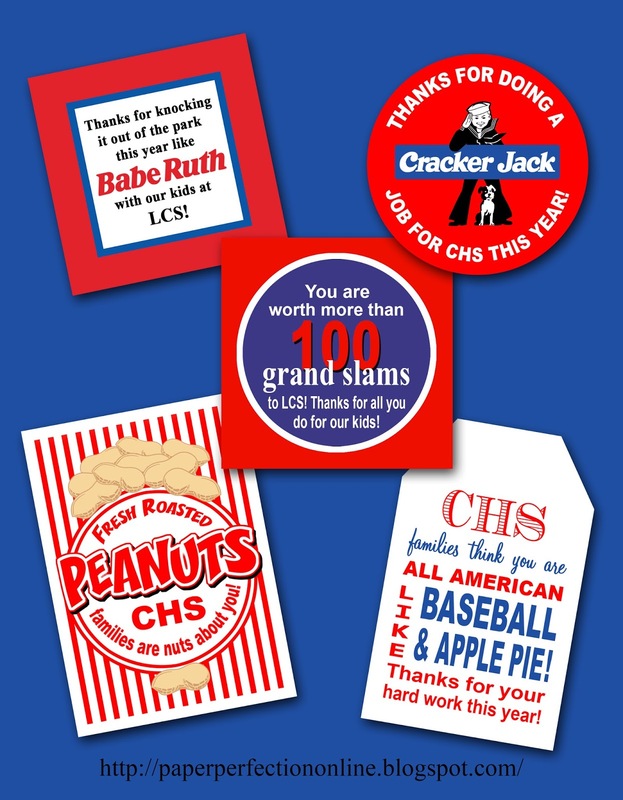 I love helping with teacher appreciation weeks, and this year my son's school choose to have a baseball theme. Here are a few baseball appreciation tags that I created for daily gifts for the staff. If you want these or other appreciation tags found here, contact Paper Perfection at jtanddolly@yahoo.com for pricing and details.